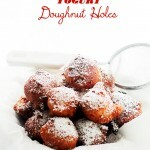 Yogurt Doughnut Holes – Tender and incredibly delicious yogurt doughnut holes that you can make at home in just 20 minutes! HI GUYS! Happy Friday! HAPPY NATIONAL DOUGHNUT DAAAAAY! I am a HUGE fan of HOMEMADE doughnuts. Caps Lock needed because, you know, emphasis and such. I am not someone that would make a trip to a Dunkin Donuts or a Krispy Kreme – I’ve had one bite of a Krispy Kreme doughnut, and, uhm WOW! – but I am that someone who will get up on a Sunday morning to bake OR fry a batch of doughnuts without much thought. I love MY doughnuts (donuts)! Obnoxious? Perhaps. BUT I just really enjoy homemade-anything. 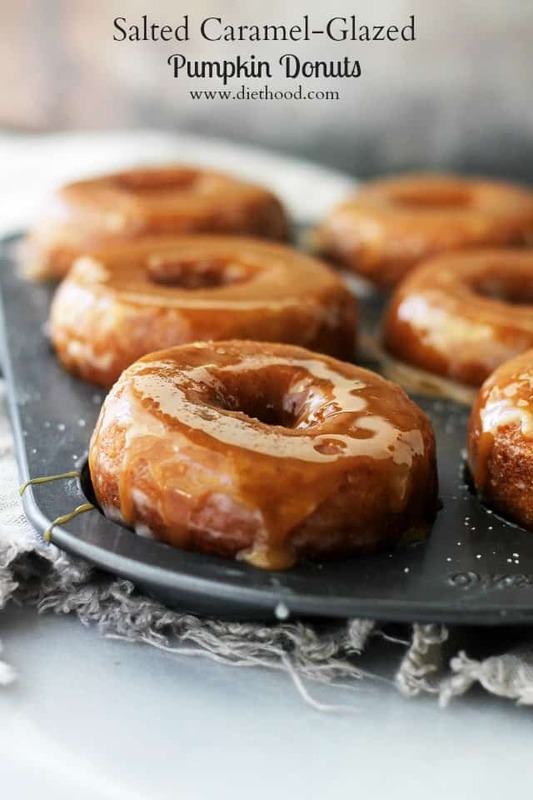 Homemade doughnuts may look like an all day project, but they’re less work than you think, and the result is a truly great, hot, delicious doughnut. 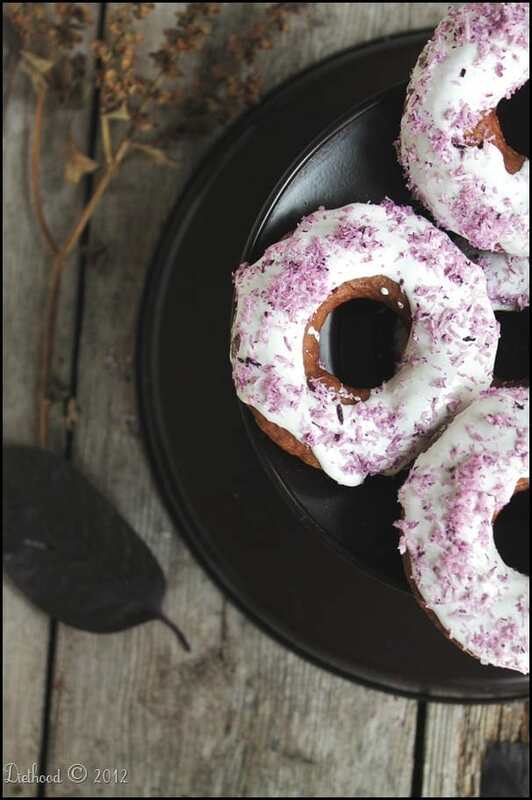 Thus, since today is National Doughnut Day – and there’s a really good story behind it, including the recognition of women’s contribution to World War 1 – I am sharing 8 of my favorite QUICK & EASY doughnuts recipes, including the recipe for these amazing Yogurt Doughnut Holes, which is an updated recipe from the Diethood archives. These Yogurt Doughnut Holes hail from my beautiful Macedonia. 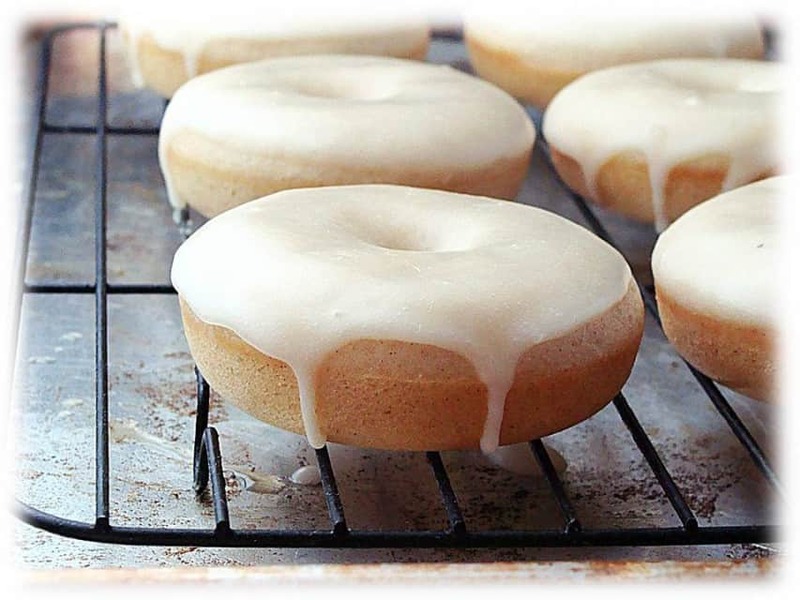 If you are looking for a flavorful, light and fluffy doughnut to enjoy, consider giving these a try. Hit that save button and make them today! OR this weekend. You will love ’em!! 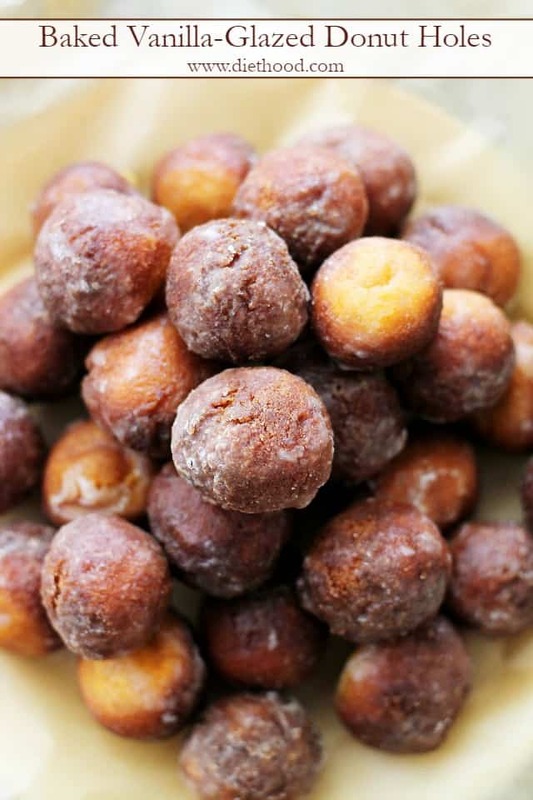 IF these Doughnut Holes are not your thing, here’s 7 more to choose from! 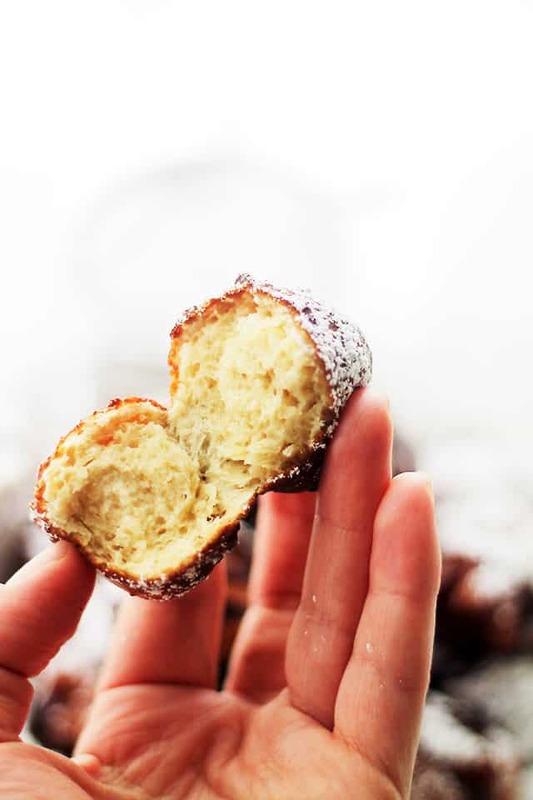 Yogurt Doughnut Holes - Tender and incredibly delicious yogurt doughnut holes that you can make at home in just 20 minutes! In a medium size mixing bowl sift together the flour and baking powder, set aside. In a small bowl, whisk together the yogurt, vanilla, eggs, and sugar; whisk until well combined. Add the yogurt mixture to the flour mixture and mix until thoroughly combined. Once the oil is hot, lower the heat to medium and keep the hot oil at 350F. Fry for about 1 minute, or until golden; flip the doughnuts and continue to cook for one more minute, or until done. Do not fry for long as the batter is light, and they only need to cook for about 2 to 2-1/2 minutes. YES, please, I need these in my life! Delicious! Wow they look so fluffy! Pretty sure this is what my next pregnancy craving is…holy yum. For some reason I have been dying for doughnuts and these came at the perfect time! I can’t believe how good these look, I’ve actually never made doughnuts at home before but I think it’s time to try! YES!!!!!!! Donut Day about did me in today!!! YUM! 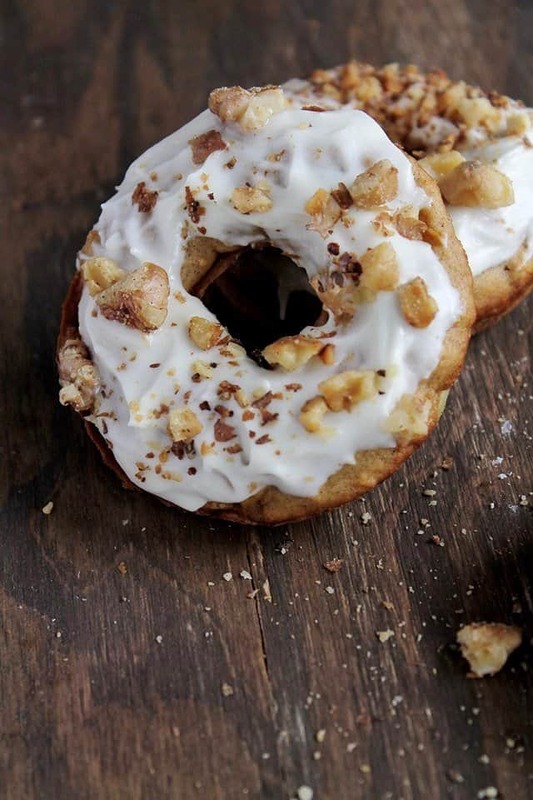 So many great looking doughnut recipes, I seriously need to make doughnuts more often! They all look amazing! Amazing collection! Happy doughnut day! i like to make things homemade but again, i live right next to a really cute donut place so yea, this morning it happened 🙂 i ended up taking a dozen to my employees. i love your donut collection, will have to check it out soon. Oh lordeeeee…. keep the round, bite sized treats coming please!!! These look incredible! Ohhhh definitely I want to have a bite of this! I was at a birthday party and birthday girl’s dad is from Macedonia. I was talking to him about a great Macedonian food blogger (aka you). 😀 Wish this was served at the party! heheh. Congratulations on your house!! 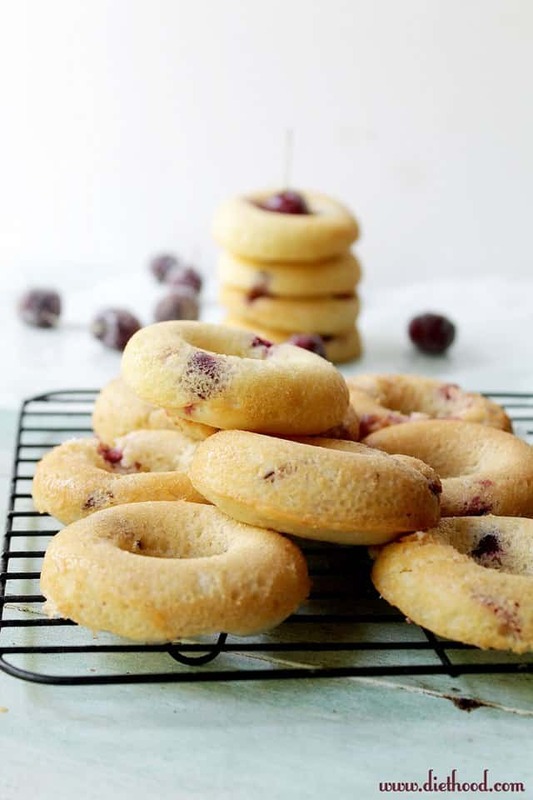 Love the sound of yogurt doughnuts – they look absolutely divine! It sounds like you had a huge week. 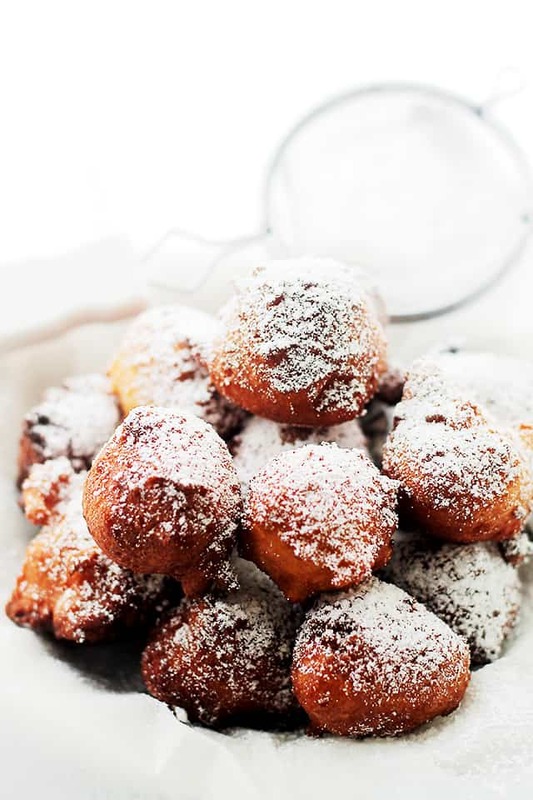 These doughnut holes look fabulous! I can imagine just sitting and eating one after another. Congrats on the house, Kate…may it bring you years of joy!!! LOVE these doughnut holes! My absolute weakness! Have a wonderful weekend! Congrats on the new house!!! So exciting! These little poppers are also very exciting!! Wonder how many I could fit in my mouth at one time? Congrats on the house, Kate! I’d like to travel around the world eating donut-like pastries . . . starting with heading back to Hawaii to have malasadas. Oh, HUGE congratulations! I can’t wait to see the before and afters. I can already tell that it’s loaded with charm and personality (much like its owner). Wow – congratulations on the new house!! (Love the brick around the entryway.) I also love these Macedonian doughnuts! If you’re too busy fixing up the new house to enjoy them, please feel free to send ’em my way! Your donut holes look delicious and using yogurt for flavour, tenderness and liquid sounds like a wonderful idea. I recently researched a similar Romanian donut type dessert called “papanasi” and wonder whether I could use your batter as a base instead. Something to consider. Good luck on the fixer-up. We bought a similar property 30 yrs ago and are still working on it. I can’t even believe that these seem that easy to make. I thought any donut might be a long drawn out process. Can’t wait to try these!!! Congratulations!!!! A new house – how exciting is that! We’ve bought two fixer uppers and, even though it was a lot of hard work, the results were fabulous! The one we are in now is almost complete and we’re ready to sit back, relax and enjoy it. 🙂 So have fun! You scrumptious little donut holes are the perfect way to celebrate! 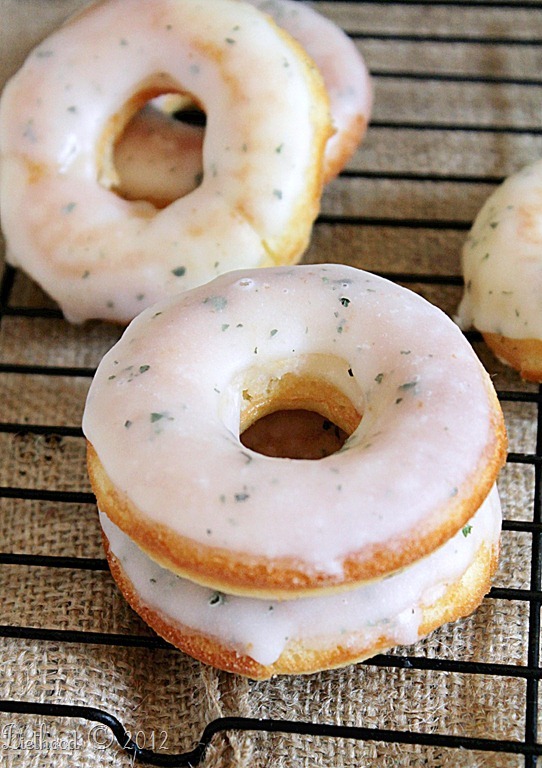 These little babies doughnuts are literally to die for…I am still salivating. Congratulations Kate! That’s so exciting! I’m sure the fixer-upper will keep you all busy. 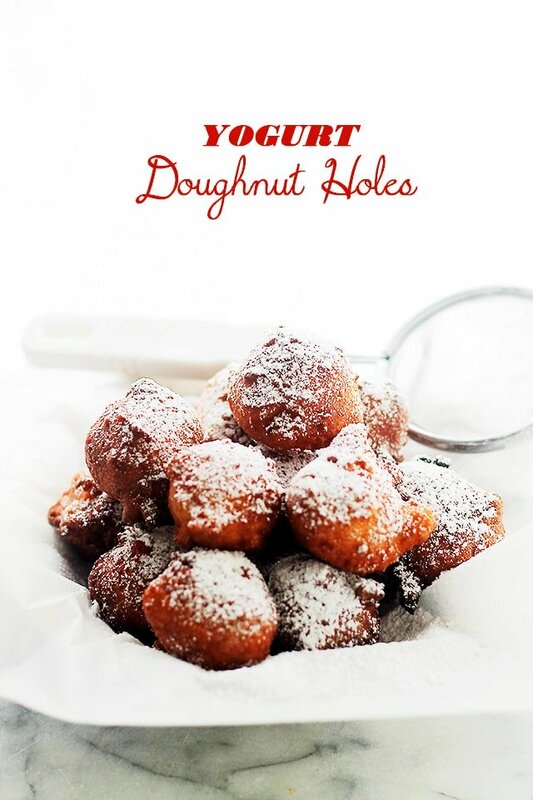 I think these yogurt doughnut holes look amazing. I cannot wait to make these first thing tomorrow morning. So great that you bought a house Kate! Can´t wait to see the transformation. In the meantime, these holes are amazing, just the recipe I was looking for. Not so dense, love that. You bought a house…CONGRATS!!!! Wow…that’s awesome! And these donut holes look awesome…yogurt! Mmm, I bet so good. Pinned!